Dr. Rippentrop’s work is one of integration – the blending of science, yoga, psychology, spirituality, and esoteric healing traditions. Doctoral training in counseling psychology at the University of Iowa provided Dr. Rippentrop a strong foundational understanding of mental health, research methodology, and the practice of psychotherapy. She has specialty training in pain management, sleep disorders, psychosocial oncology, and mind/body interventions for both physical and mental health. She completed her clinical internship at Rush Medical center in Chicago, and has worked in various departments within academic medical centers. She has been in private practice for the past 13 years. During her graduate studies, Dr. Rippentrop turned to yoga as a much needed respite from the stress of her work. Her interest in yoga and its healing properties took root, leading to additional in-depth study of energy medicine, meditation, mindfulness, hypnosis, breath work, the chakra system, and mystical teachings. She completed teacher training in the Anusara yoga method in 2008, and has completed over 500 hours of training in yoga with various teachers from different lineages including John Friend, Desiree Rumbaugh, Angela Farmer, and Bo Forbes. In her role as psychologist, Dr. Rippentrop views the therapeutic relationship as a collaborative partnership and the key agent of change. She believes the answers and guidance we are looking for as human beings lie within, and her goal as a therapist is to guide people inward towards their truth and intuition. She trusts the innate wisdom of the body, and believes we must include the body in the healing process. There is a dearth of training models for integrating the body into psychotherapy, which is why the philosophy and discipline of yoga has helped her conceptualize how to work concurrently with the mind and body. Creating a bridge between psychology and yoga is a core focus of her work. She sees both disciplines as exquisite psychological maps, and although different in their explanations of how to achieve mental wellness, both systems have much to add to improved states of mind. She especially focuses on the yogic philosophy that supports the idea that we as humans are eternally whole and intact, it is just stress, tension, and faulty thinking that disconnects us from our inherent wholeness. Dr. Rippentrop describes the treatment she provides as yoga-based psychotherapy. The foundation of the treatment is the well-established tools of psychotherapy with a focus on thoughts, emotions, history, and current level of challenge. What sets a part Dr. Rippentrop’s treatment focus is the premise that the body and mind are intricately and importantly connected, and that the tools of yoga can be integrated with the psychotherapeutic experience. By addressing sensations in the body through physical postures, breath techniques, and meditation, we can balance and clear emotional and mental blocks in the body, leading to increased health and well being. Addressing anatomical posture and physical blockages in the body, results in improvements in mental states. Dr. Rippentrop sees patients in her clinical practice which is housed in Heartland Yoga. She teaches multiple yoga classes per work as well as offers specialized trainings on yoga and the mind. 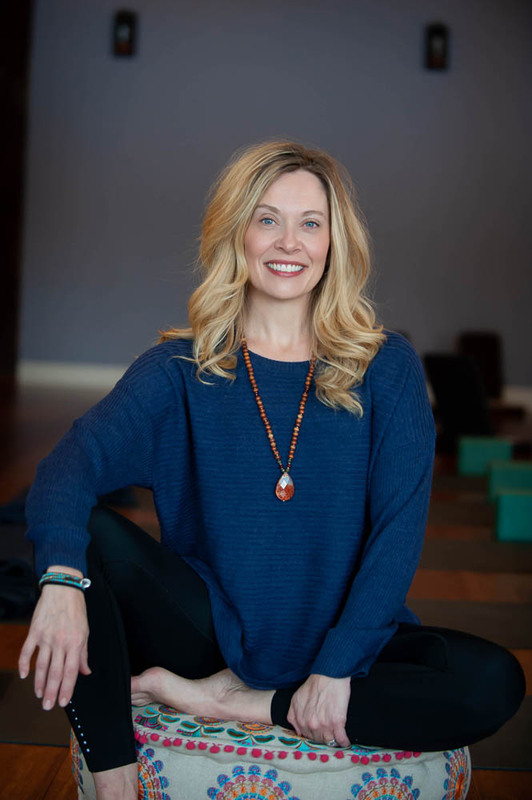 She co-teaches a 200 hour yoga teacher training, and is debuting a training for mental health practitioners on integrating yoga/mindfulness into treatment January 2021. She has published academic papers on the relationship between spirituality and health, women’s health, and chronic pain management and is co-author of The Complete Idiot’s Guide to the Chakras. She is working on her second book on improving mental health though the integration of yoga and psychology out in 2020. Licensed psychologist. PhD, University of Iowa, 2003. Clinical internship in Health Psychology, Rush Medical Center, Chicago, 2002. Primordial Sound Meditation Teacher, Chopra Center, 2016.